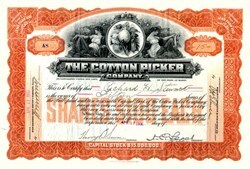 Beautifully engraved certificate Number A8 from the Cotton Picker Company issued in 1906. 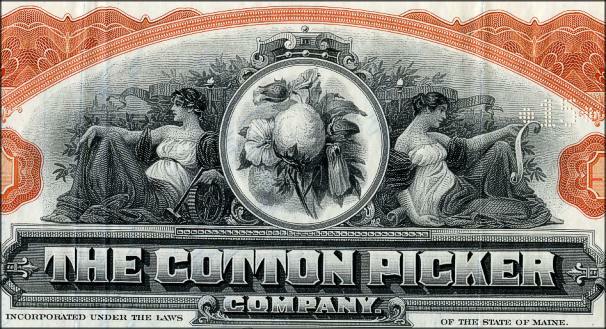 This historic document was printed by the American Banknote Company and has an ornate border around it with a vignette of two momen on the sides of a cotton plant. This item has the signatures of the Company�s Officers and is over 99 years old.